Meet up with investors north of the river for education and networking in New Albany. Everyone welcome -- even Kentuckians. This month, financial adviser Bill Green speaks on retirement and investments. Touch base with Hoosier investors! Hear about retirement and investments from financial adviser Bill Green. The event is free, but you buy your own lunch. Brian Haeseley chairs the meeting. 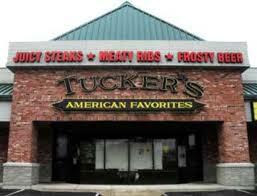 Tucker's Restaurant is located at State Street and I-265 in New Albany.